Balladeer Anthony Castelo urged the masses to support and unite in helping President Duterte save the Philippines from foreign exploitation and oligarch interests. Anthony Castelo is a singer and a composer. He is also the founding chairman of Dakilang Lahi foundation. He has always been active and vocal in his political views even during his time as a singer in the 80’s. He is a staunch supporter of the Duterte administration as he believes the man was pre destined to lead the country to great heights. In a post he shared on his Facebook page, Castelo reiterated the need for the Filipino people to act as one in supporting the present administration. "If we really love our country, then let us unite behind President Duterte to save and protect the Philippines", Castelo stressed, adding "I believe President Rodrigo Duterte has been predestined to fulfill the dreams and aspirations of our people throughout the ages of true freedom and genuine change in society". Castelo added that contrary to what the opposition and oligarchs claim, Martial Law is not as bad as they portray it to be. In Fact, he said that through the Martial Law, the country started to progress and discipline were ingrained in the minds of the people. The singer said that former President Marcos taught him how to love his country, while President Duterte is teaching us how to show that love. Anthony Castelo said that President Duterte may be the person who will finish what heroes like Bonifacio, Rizal, and Aguinaldo started and died fighting for. And that is to liberate our people from poverty and social injustice. 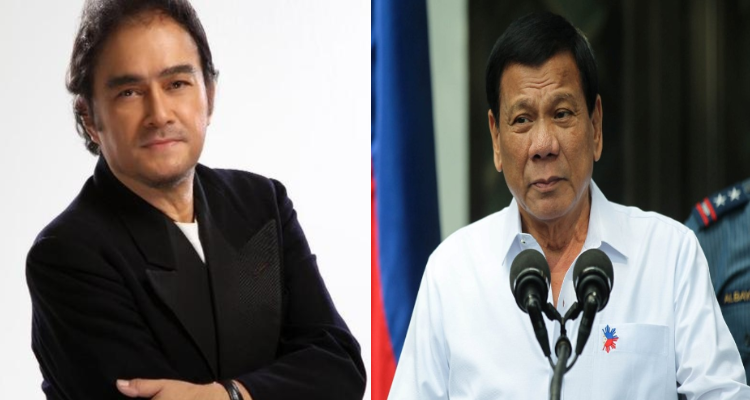 "Believe me, the day will come when this revolutionarian President, Rodrigo Roa Duterte will be called a hero... and maybe, just maybe, the greatest Filipino leader of this generation..." Castelo stressed. Sept. 21, 2018, Quezon City. On the 46th Anniversary of the Declaration of Martial Law, Dakilang Lahi Foundation founding chairman, singer-composer Anthony Castelo strongly urged Filipinos to unite. "I believe President Rodrigo Duterte has been predestined to fulfill the dreams and aspirations of our people throughout the ages of true freedom and genuine change in society". President Duterte will finish the crusade for true liberation of our people from poverty and social injustice as well as economic attrition and political exploitation by foreign interests that Filipino heroes Bonifacio, Rizal and Aguinaldo, among others started and had died fighting for. Duterte’s strong, decisive and disciplinarian leadership, is the reason he is often criticized by so-called human rights groups here and abroad without looking into his heart to see his pure intent and deep love of country and noble mission to save and protect future generations of Filipinos. "Believe me, the day will come when this revolutionarian President, Rodrigo Roa Duterte will be called a hero... and maybe, just maybe, the greatest Filipino leader of this generation..."